drill bit manufacturers - Purros Machinery Co.,Ltd. HSS bit is the most widely used bit in the industrial manufacturing of twist drill. We usually use high speed steel drill bits. When selecting the most suitable bit type for a particular hole processing task, the technologist needs to calculate the length-diameter ratio of the bit. What is the length-diameter ratio of the drill bit? Length-diameter ratio is the ratio of the depth of the hole processed to the diameter of the drill bit. For example, the drill bit diameter is 12.7mm and the hole depth to be processed is 38.1mm, so its length-diameter ratio is 3:1. 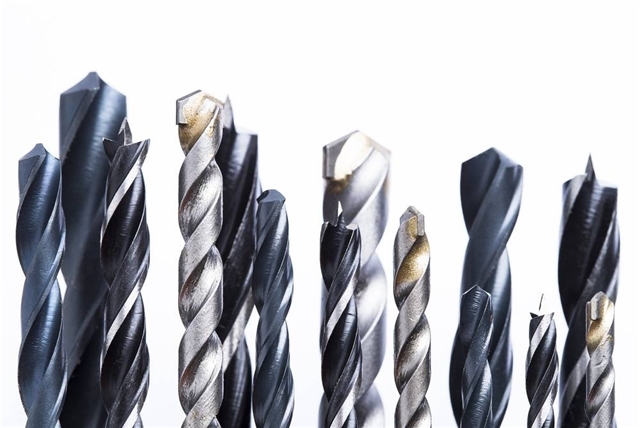 When the length-diameter ratio is about 4:1 or less, the chip grooves of most standard high speed steel bits can discharge the chip removed from the cutting edge of the bit more smoothly. When the length-diameter ratio exceeds the above range, a specially designed deep-hole drill is needed to achieve effective machining. The standard products of HSS drill bits are in accordance with international standards. Once the aspect ratio of the machined hole is greater than 4:1, it is difficult for the HSS bit to push the chip tip out of the cutting area. The chip will soon block the bit’s chip drain. At this point, we need to stop drilling, withdraw the bit from the hole, remove the chip in the chip removal groove, and then drill down again to continue cutting. The above operation needs to be repeated many times to produce the required hole depth. This drilling method is often called “pecking”. The use of “peck” method to process deep holes will shorten the tool life, reduce the efficiency of machining, and affect the quality of the processed holes. Each time the drill bit is pulled out of the hole, and then the chip is removed and re-inserted into the hole, it is possible to deviate from the center line of the hole and make the hole diameter larger than the specified dimensional tolerance range. In order to solve the problem of deep hole machining, in recent years, drill bit manufacturers have developed two new types of deep hole machining bits — ordinary parabola bit and wide edge parabola bit.